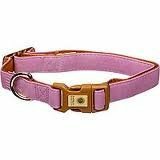 AKC Adjustable Pink Faux Leather Collar 1"x18"-26"
The excessive barking of your pet is a big problem for you and you are tired of using non-effective bark collars that never solved a barking problem?New 2018 High-Tech Smart Bark Control Collar for Small, Medium, Large Dogs - Solution of Your Problem! 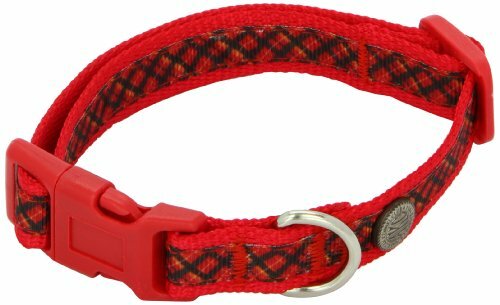 AKC Small Dog Collar Nylon Big Dot Orange, 8-12"
Perfect for Beagle, Bichon Frise, Boston Terrier, Cairn Terrier, Cavalier King Charles Spaniel, Miniature Schnauzer, Pekingese, Pug, Scottish Terrier and West Highland White Terrier. 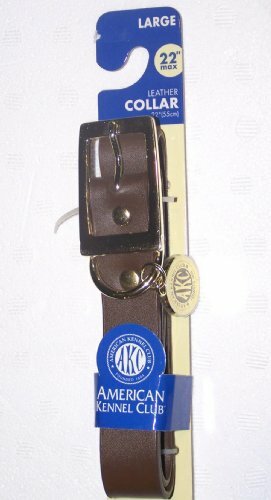 AKC Small Dog collar 3/8" Width x 8-12"
Brand New AKC 3/8" Width x 8-12"
American Kennel Club AKC Large Dog Collar Leather up to 22"
American kennel club padded dog halter was developed by pet care experts to easily convey a simple heel command in an humane, safe effective manner. Your dog's tendency to pull is eliminated by the gentle pressing action of the fleece-covered muzzle loop on the bridge of the dog's nose. Burgundy, fits large dogs 1-inch by 18-32. 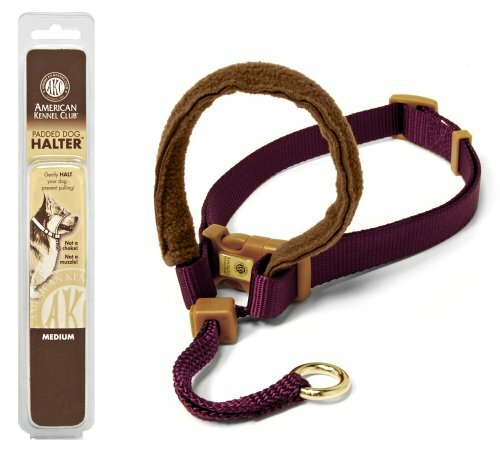 American kennel club padded dog halter was developed by pet care experts to easily convey a simple heel command in an humane, safe effective manner. Your dog's tendency to pull is eliminated by the gentle pressing action of the fleece-covered muzzle loop on the bridge of the dog's nose. Burgundy, fits medium dogs 5/8-inch by 14-20. A quality and stylish collar/lead set for your pet. 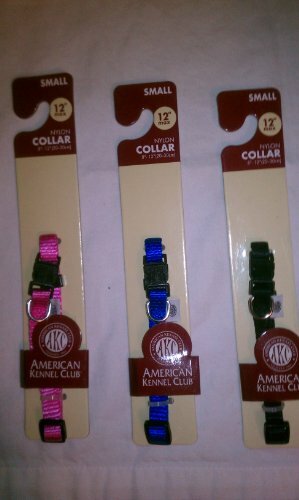 American Kennel Club Adjustable Dog Collar. Plaid Design. Made to last. Available in 3 Sizes; Small, Medium and Large.